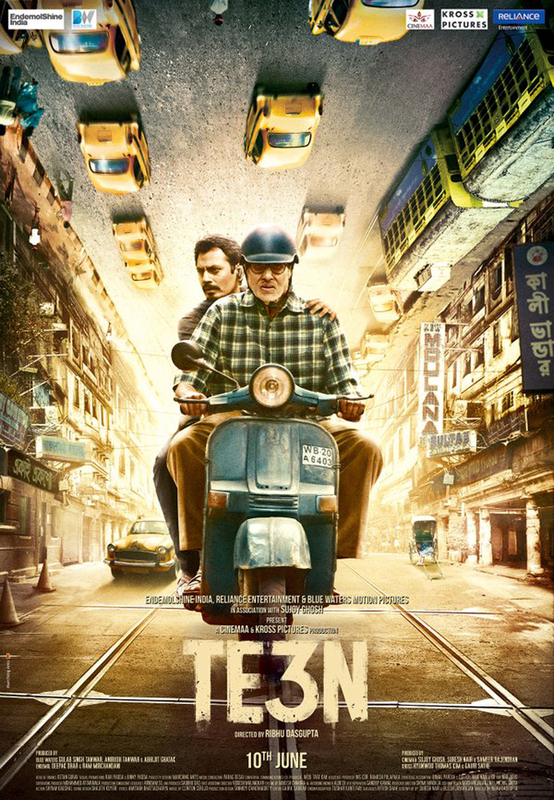 Ribhu Dasgupta directs Amitabh Bachchan, Nawazuddin Siddiqui and Vidya Balan in the mystery thriller Te3n. With talent like this and the executive producer stewardship of Sujoy Ghosh who in my opinion directed Bollywood’s best thriller Kahaani, this had me excited. The opening sequence had me sit up and take notice. What the hell was going on, Amitabh choking on a garbage bag, Siddiqui driving past and crashing – this was going to be dark and twisted and I was going to love it. Sadly things start to fizzle out after the initial sizzle with only an occasional sputter of genuine surprise. The story follows Amitabh’s John who is pursuing the course of justice for his dead granddaughter who was kidnapped 8 years ago. He visits the police station every day to find out of there has been any progress made on the case. With no new leads Vidya Balan sends him away compassionately each day, urging him to find closure and spend time with his beautiful wife. Cue the wife – a nag of the first order. You can understand why John would want to seek solace in the police station each day. 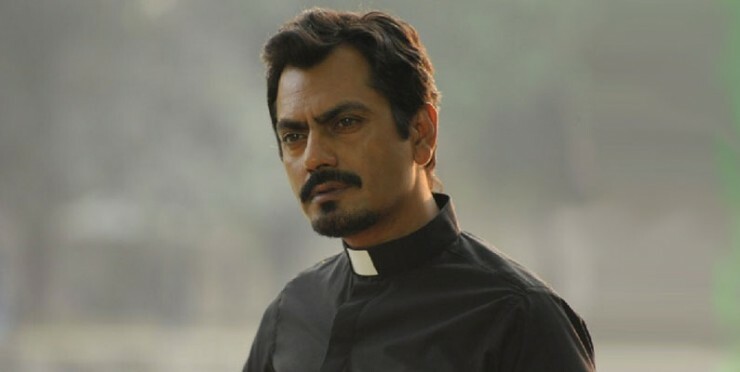 John also reaches out to Father Martin who used to be inspector Martin played by Nawazuddin Siddiqui. We don’t really get an insight into why he switches the uniform. Not unlike Irrfan Khan who is a fine actor who seems to be turning into a victim of his own hype I am beginning to tire of Siddiqui’s overly self-assured acting. This performance is a phone-in and especially the second half when he and Vidya deliver dialogue like they are camera blocking and rehearsing scenes without any real conviction. When it comes to mysteries and thrillers, coincidence is the crutch of the lazy and Dasgupta and screen writers Bijesh Jayrajan and Suresh Nair rely too much on coincidence. The first one when Amitabh finds a needle in a haystack shopping for fish and then when another character suddenly remembers a small but significant detail when Amitabh is fixing his scooter’s spark plug. The writing which seems to hold promise in the first half loses all steam in the second half where important plot details are discussed as afterthoughts. The total disregard to logic and law is baffling too. 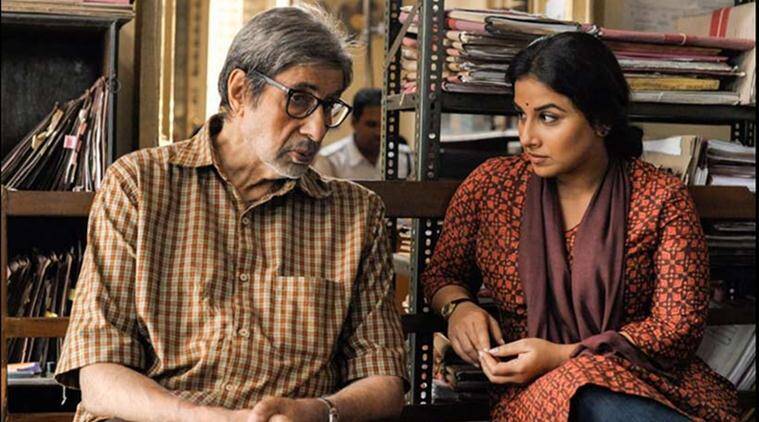 Amitabh breaks and enters many a houses to find answers and curiously enough after catching one of the “suspects” he takes him along for a tram ride through Kolkata and does the interrogation on it! Disappointments aside what lifts the movie above being abjectly terrible is the grand old man of Bollywood. Amitabh Bachchan defies the law of averages and keeps getting better with every progressing movie. You feel the burden the last 8 years have taken on him, his tired eyes, slightly confused expression, and the gape mouthed blank stare, he is brilliant. His vulnerability moves you, his resolve inspires you. Every time he is on the screen you forget the gaping plot holes and are focused on his craft. The second half suffers with a lesser screen time for Amitabh. The twist just before the interval and how the story manages to sort itself out towards a semi-logical conclusion is commendable but only because Amitabh keeps you interested. The music by Clinton Cerejo and the vocals by Amitabh make it an enjoyable accompaniment to Tushar Kanti Ray’s camerawork who frames the crumbling Kolkata beautifully. Adapted from Korean film Montages the choice of movie’s name is the least of its baffling choices. A half-hearted attempt at the second half and haphazard screenplay stop this one short of being a fantastic movie. 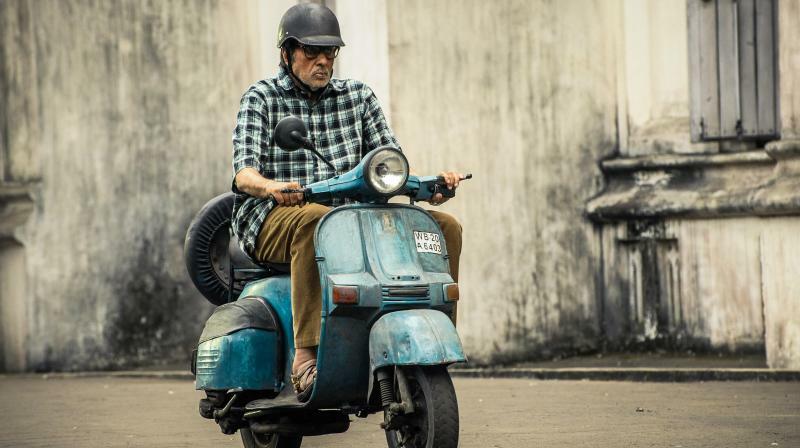 Watch it for a mildly amusing story and for Amitabh and continue to marvel at how after 5 decades in the film industry he never ceases to amaze.